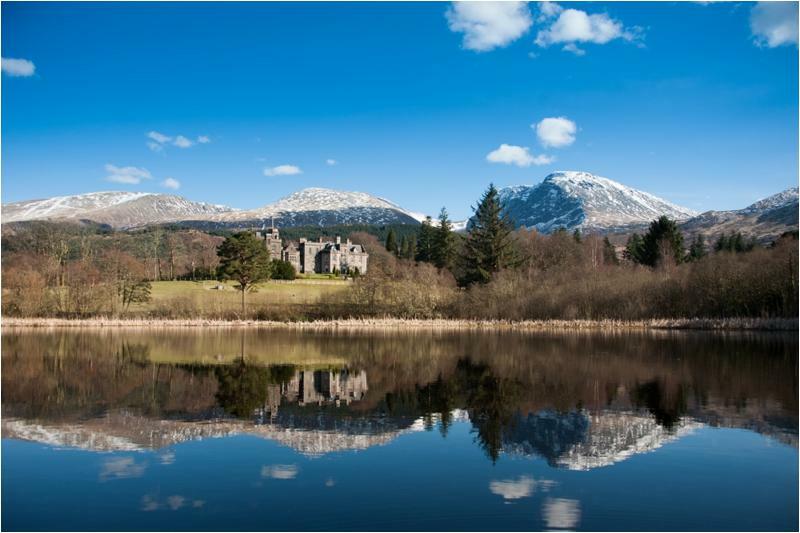 Nestled in the wild landscape of the North West Highlands, just an hour down the road from my new home is Inverlochy Castle. I had a magnificent stay during an unseasonably warm few days in March this year. 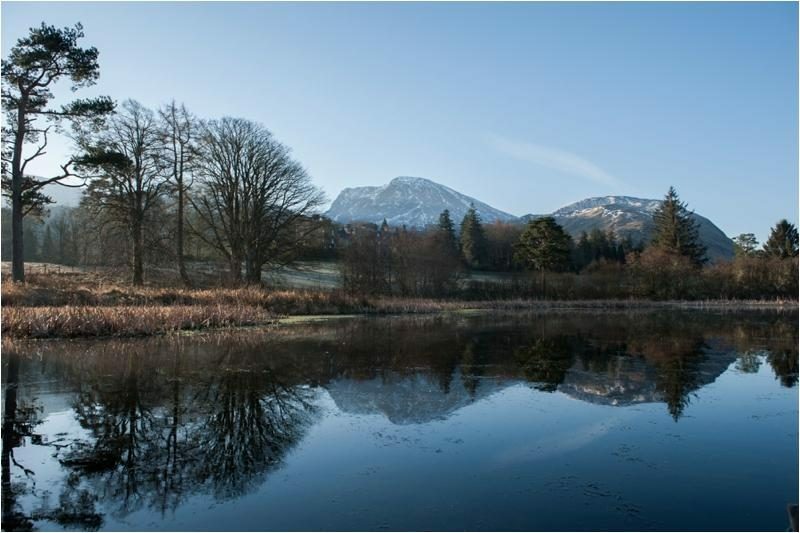 The awe-inspiring backdrop of Ben Nevis just behind the 19th century castle makes for a very impressive morning view that invites you to relax and enjoy. Driving through the carefully manicured gardens to the statuesque castle you arrive at a huge archway and quickly realise that everything is going to be handled for you in the most unassuming manner. My luggage was swiftly removed from the car and the car parked before I could even think about it. I immediately felt welcome and that I belonged here. Amongst my favourite experiences during my stay at Inverlochy was my bathroom. I soothed all my aches, pains and troubles away in the most amazing relaxing bath while I marveled in the tastefully chosen décor of the impressively large bathroom. I have never felt the need to take so many baths in such a short period of time; it was the most magical room. The other outstanding experience was most definitely the mouthwatering food. 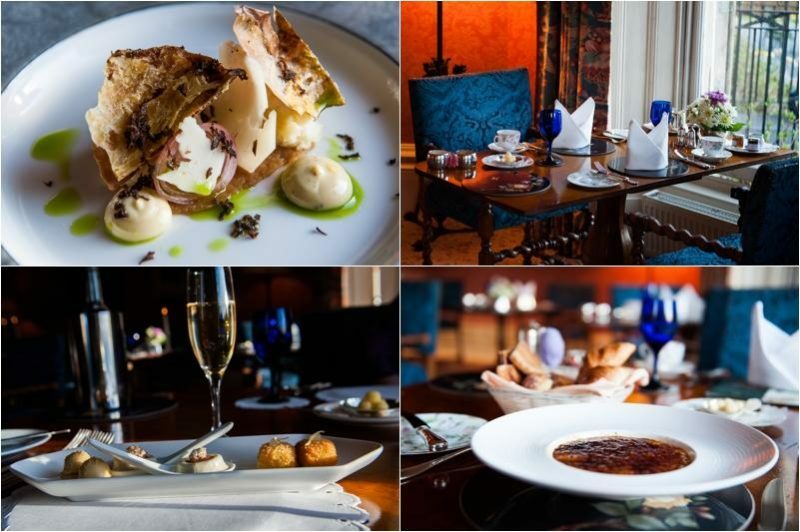 The model Roux 5 star restaurant serves a 6 course-tasting menu, which changes every night. Each of the 6 courses was a show stopping delight. The handmade Mallaig Lobster and brown shrimp ravioli with celeriac, apple and sauce bisque started off the procession of delights, which just kept coming, each one a sensory marvel between taste, touch, smell, and vision. The heavenly descriptions from the server completed the sensory tour and enhanced the overall experience of each of these dishes. After rising early the first morning I opened my curtains to the most perfect landscape photography weather. 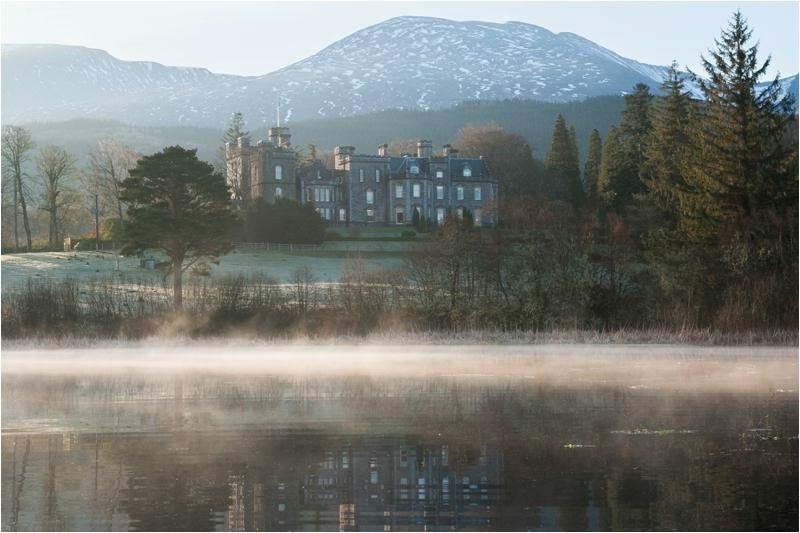 A low rolling mist clinging onto the distant mountains, the morning sun just starting to rise in the clear sky and a perfect reflection in the loch close to the gardens. I had to capture it. Knowing time was limited before this picturesque view would be lost forever, I did a mad dash downstairs to try and get out on the water before the wind picked up and all was lost. I quickly untied the hotel’s little rowing boat from its boat shed and paddled out onto the still water. The reflection of the castle appeared just as the last wisps of low-lying mist on the water began to lift while the sun rose above. Ben Nevis framed the castle perfectly in the background. The unflawed light, composition, timing and improvised boating abilities allowed me to capture that perfect moment before it disappeared forever. I loved every magical second I spent at the castle and will definitely return!